Have you ever stepped foot into someone’s home and thought their home looks like the magazines? I know I have many times and I think how can they afford all these gorgeous pieces to display in every signal area of their home! 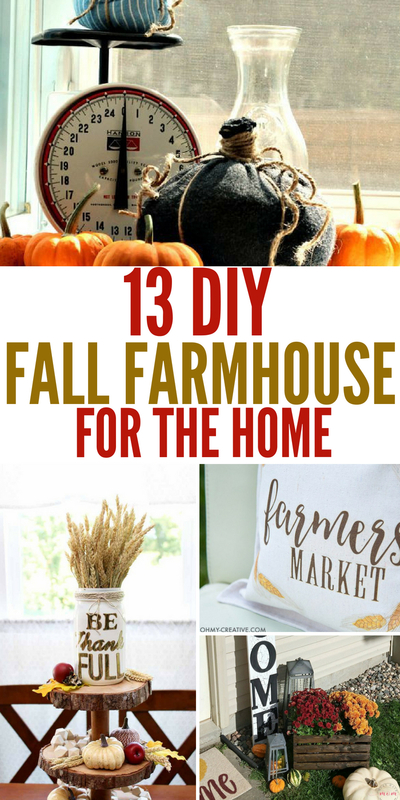 Well, I have some perfect fall farmhouse decor DIY’s that will give you that farmhouse style for a fraction of the cost. Don’t buy these items, make them yourself. Plus if you are a crafter you might already have some of the supplies on hand. 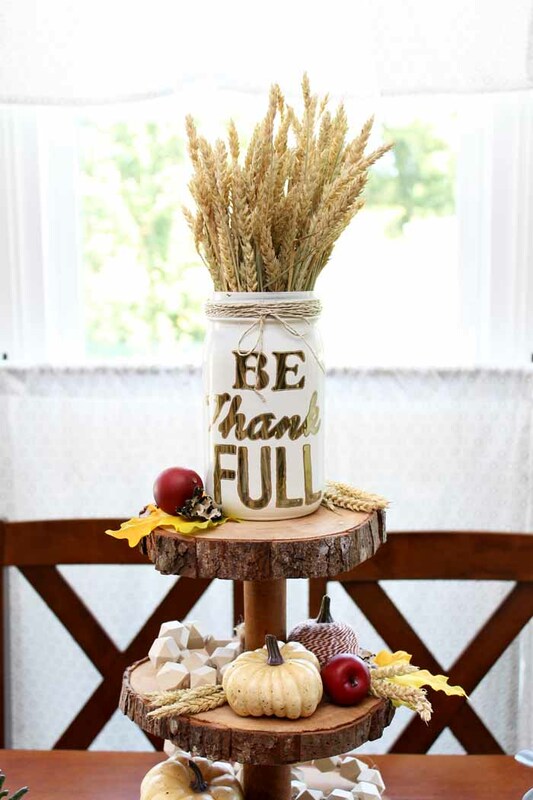 Get your home fall-ready with these rustic farmhouse DIY’s! I am a huge fan of crafting, it is therapeutic and who doesn’t love making new decor pieces for the home, jewelry or even painting rocks? I am slowly working on building up my supplies so I can craft even more. If you are a newbie to crafting or an expert I am sure you will find a piece or two below you can make that fits your skill set. 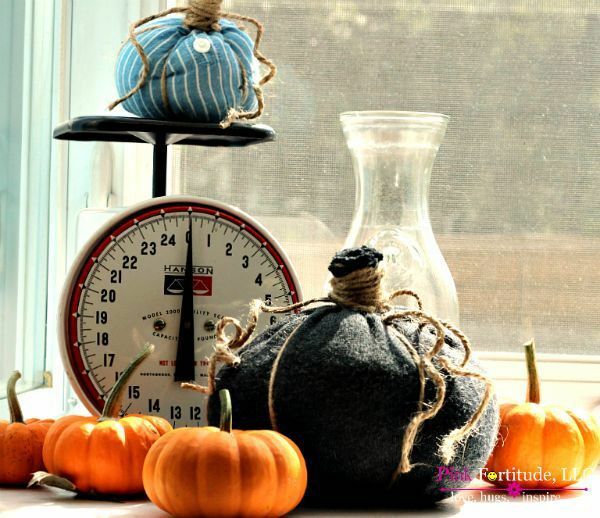 Plus speaking of fall check out these no-carve pumpkin ideas! Give your front door a makeover with this easy DIY fall wreath. This is a very easy craft that is great for beginners or more experienced crafters. This rustic candle holder can be very pricey if you buy one in stores. But picking up sticks around your home you can make one for minimal money. Sit on your mantle, end table, or even display in the bathroom or a bedroom. Don’t forget about dressing up the outside of your home! Here is a really cute fall decor outdoor display. 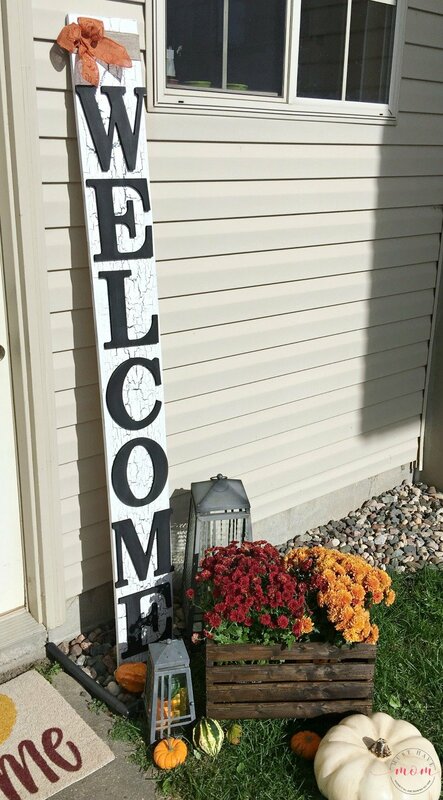 From a fun welcome sign to fresh mums, and more. Another great DIY is this wooden monogram. Display in your home, outside on the porch, or even make and give as a gift. A stunning display piece that adds those rich fall colors to your home. This fall ribbon wreath is a really fun piece to hang on your wall in the home or on your front door. A very simple and elegant look. I am obsessed with everything about these no-sew fabric pumpkins. They are pretty easy to make, affordable, and really dress up a space in minutes. 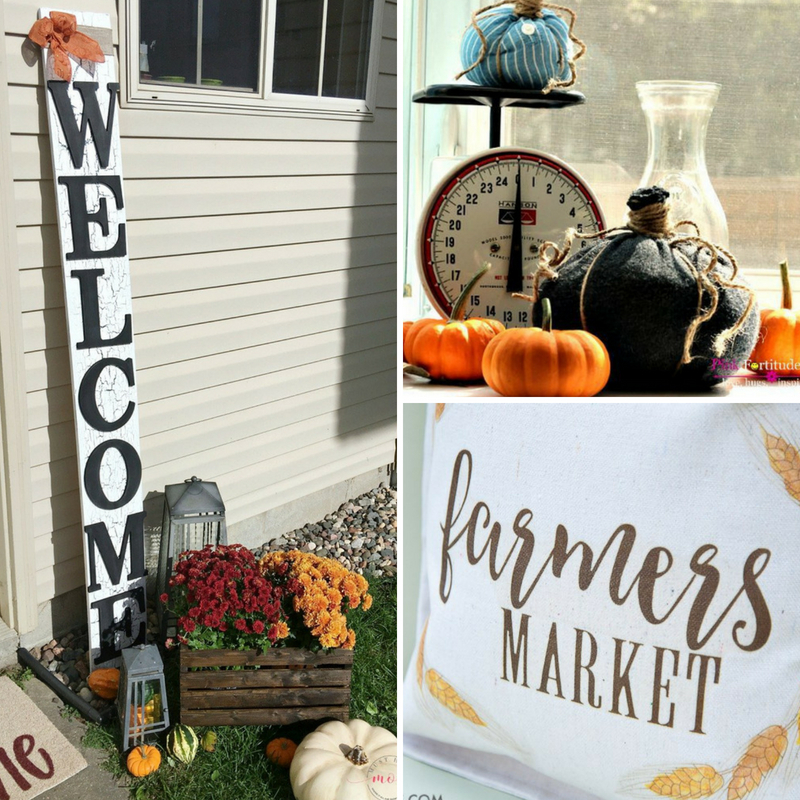 This pumpkin patch sign is so easy to make, a little paint and stencils are about all it requires. If your good at handwriting you might be able to freehand it. These vintage painted pumpkins can really dress up an entryway and give your home that farmhouse feel for the fall. Such an affordable craft to make. 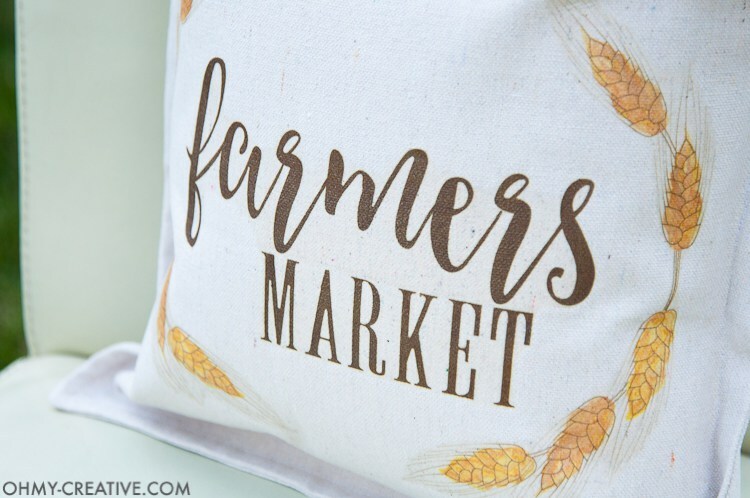 Dress up your couch, chairs or even outdoor furniture with this fun fall pillowcase design. This is so unique and I love the wheat aspect. This is a great piece to use over and over again and could be used for more than just the fall months. This no-sew buffalo check pillow is so unique and different. It adds a splash of style to any room. I love the vibrant leaf on it. These scented pine cones not only give an element of design and farmhouse feel but also will add a beautiful fragrance in your home to welcome guests. This three-tier stand is absolutely breathtaking. I mean this is something that takes some time to make but the final product is just amazing. I can only imagine how much this would cost to buy. This wooden pallet art is really a great accent piece. Use whatever colors fit your color scheme and write an inspirational quote and display away. Do you like the Farmhouse Decor style for your home?